A group of state lawmakers led by Rep. Verla Insko and Sen. Ben Clark has come up with an idea that you would think House and Senate leaders would consider immediately, no matter how short they want the summer legislative session to be. It is a plan that would save lives, create jobs, and save the state money both in the long run and next year—when it would free up $26 million that could help with restoring cuts to classrooms or giving state employees a well-deserved raise. The plan would also provide health care coverage for more than 350,000 adults in North Carolina who are currently uninsured. It is a simple idea. 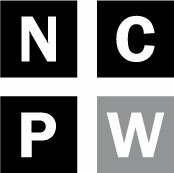 House and Senate bills filed the first two days of the legislative session would expand Medicaid in North Carolina under the Affordable Care Act and help the economy, help local hospitals, help the state budget, and most importantly help hundreds of thousands of people get the health care they need and deserve. There are reams of studies documenting the benefits, the jobs it would create and the families it would help. Just a few months ago, a tax preparation firm released a report showing that Medicaid expansion would save employers money by allowing them to avoid a tax penalty for low-wage workers who are not currently eligible for Medicaid. Leaders of this General Assembly always claim to be looking out for the best interests of employers. A study from Harvard released at roughly the same time found that expanding Medicaid could literally save the lives of as many as 1,200 people in North Carolina thanks to preventive screenings and preventive management. Leaders of this General Assembly also like to remind voters that they are strongly pro-life. Then there is the study by the Institute of Medicine that found Medicaid expansion would create 23,000 jobs in North Carolina over the next ten years. Leaders of the House and Senate have said for the last three years that job creation is their top priority. When the House and Senate passed legislation last year to deny Medicaid expansion, they gave three primary reasons. 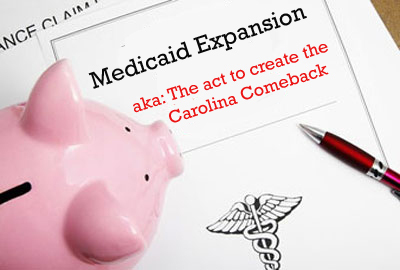 Medicaid in North Carolina was broken with huge cost overruns and it wouldn’t be responsible to expand it. The state couldn’t afford it even though the federal government would pick up 100 percent of the cost initially and 90 percent after that. And that it was part of the Affordable Care Act known as Obamacare that would be repealed. Denying expansion became a way to express their extreme dislike of President Obama, rejecting everything that had to do with his signature achievement, expanding health care. But Medicaid was never actually broken in North Carolina—per capita spending on Medicaid has declined in the state by more than 11% since 2008—but there was some irresponsible budgeting that created shortfalls and overruns. This year’s Medicaid shortfall is much less than expected and surely legislative leaders have faith in the governor of their own party to keep Medicaid budgeting in line. The state budget is also much more stable now, according to none other than Senate President Pro Tem Phil Berger, and well positioned to absorb the additional cost of the state program in a couple of years when the federal government will still be paying 90 percent of the bill for expansion. And that doesn’t take into account the money that Medicaid expansion will save. And the Affordable Care Act is not going anywhere. Even many conservative Republicans in Washington now acknowledge that. More than 400,000 people in North Carolina have signed up for coverage during the initial enrollment period. That far exceeded projections for enrollment in the state and is even more remarkable when you consider that lawmakers decided not to set up a state health care exchange and rejected $74 million in federal grants to help citizens sign up for coverage. The Affordable Care Act is the law of the land and politicians can either continue to complain about it and refuse to allow the people they represent to benefit, or they can move forward and figure out how to make it work like the majority of states have done, states with Democratic governors and states with Republican governors. It’s hard to come up with an idea that would immediately help more people and families in North Carolina than expanding Medicaid. And it’s hard to think of one proposal that fits so perfectly with the agenda of the pro-business legislative leadership committed to creating jobs and saving lives. Maybe they could rename the bills the act to create the Carolina Comeback. That has a certain ring to it.